COLUMBIA, Mo. – In the past few weeks, Missouri legislators have been considering a number of different tax credit reforms. While these tax credits can be beneficial to Missourians, the financial outcomes of tax credits can be unpredictable. Now, researchers from the University of Missouri have published a report with recommendations for legislators to consider when discussing the future of tax credits in Missouri. Since the report was sent to Jefferson City at the end of 2012, the Senate has passed three new tax credit bills, modified two existing tax credit bills and placed stricter caps on three existing tax credit bills. •	Tax credit programs are intended to achieve certain purposes, primarily stimulating investment and encouraging different types of development, across a wide range of sectors and activities. Their individual impact and effectiveness should be measured according to the extent to which they achieve their specific purpose. •	The purpose of tax credit programs is not to increase state revenues, and their impact should not be measured in those terms. •	Economic development programs should be evaluated on their economic costs and benefits. However, tax credits designed for other purposes, such as housing or historic buildings, should be assessed against broader criteria and their cost effectiveness. A copy of the two IPP reports can be found at http://ipp.missouri.edu/files/ipp/attachments/03-2013_assessing_the_impact_of_missouris_tax_credits.pdf and http://ipp.missouri.edu/files/ipp/attachments/03a-2013_assessing_the_impact_of_missouris_tax_credits_an_update.pdf. Established by the University of Missouri Board of Curators in May, 2001 the creation of the Harry S Truman School of Public Affairs represented a major commitment to public affairs education, research, and public service by the University of Missouri. 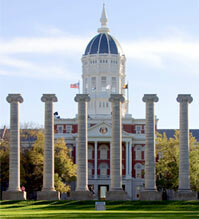 The mission of the Truman School is to advance the study and practice of governance in Missouri, the nation, and the world by conducting research, informing governance and public policy, educating for ethical leadership, preparing the next generation of scholars and fostering democratic discourse.